AIESEC mainland China, founded in 2002, has been committed to the training and development of Chinese society with an international vision and a sense of social responsibility through AIESEC’s international platform for future leaders, making it the first choice for young people to pursue the development of leadership. Present in over 110 countries and territories and with over 60,000 members, AIESEC is the world's largest student-run organisation. Focused on providing a platform for youth leadership development, AIESEC offers young people the opportunity to be global citizens, to change the world, and to get experience and skills that matter today. 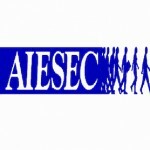 AIESEC mainland China, founded in 2002, has been committed to the training and development of Chinese society with an international vision and a sense of social responsibility through AIESEC's international platform for future leaders, making it the first choice for young people to pursue the development of leadership. After eight years of unremitting efforts, AIESEC has more than 3,000 members in more than 20 major colleges and universities in 16 cities in mainland China area. Our international platform for our members to provide a series of leadership development opportunities and global learning network, so that our members more mature, passionate, with a high degree of social responsibility and tireless dedication for the community own a force. So far, in mainland China, we have more than 10,000 outstanding alumni. They actively participate in various industry leader such as Bain, Boston Consulting Group, McKinsey Consulting, China International Capital Corporation, Daimler, DHL, Goldman Sachs, AB InBev, Mars, Procter & Gamble, Unilever, Waterhouse Wing Road, Deloitte, and so on. In addition, there is a considerable part of the outstanding alumni selected business or engaged in non-governmental / non-profit organizations. Run so far, AIESEC Mainland China has many well-known companies / organizations to establish a partnership. Such as: Platinum Partner - PricewaterhouseCoopers, Mars; National Training Partner-IE Business School, New leaders, Cheung Kong Graduate School of Business; the national public partner-Greennovate, Sea Dream, Nike, Standard Chartered Bank and my music network (56. com); international talent exchange project - Electrolux, Wal-Mart, New Oriental, Evans and Goldwind.